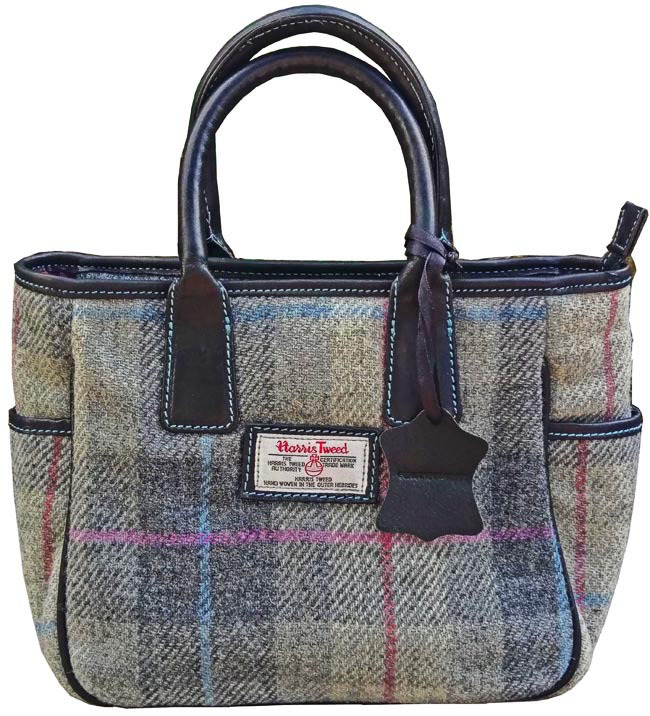 Our most popular 'Sienna' handheld bag in a fabulous Harris tweed with soft black leather trim. 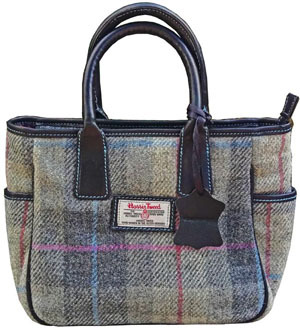 The tweed has a grey base with subtle lilac, pinky red and blue checks. There are 2 exterior side pockets and a zip across the top of the bag. Interior details include a zip pocket, key clip, phone and purse pockets in the pinky purple taffeta lining. 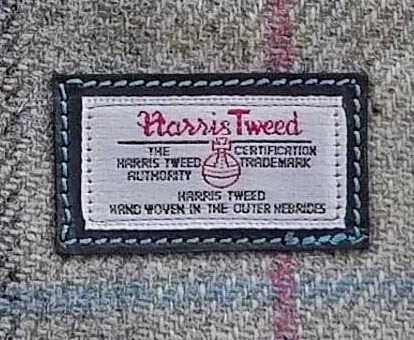 All our Harris tweed is hand-woven by the islanders in their homes in the Outer Hebrides and this is what entitles us to use the famous Orb label certifying it as Harris Tweed.